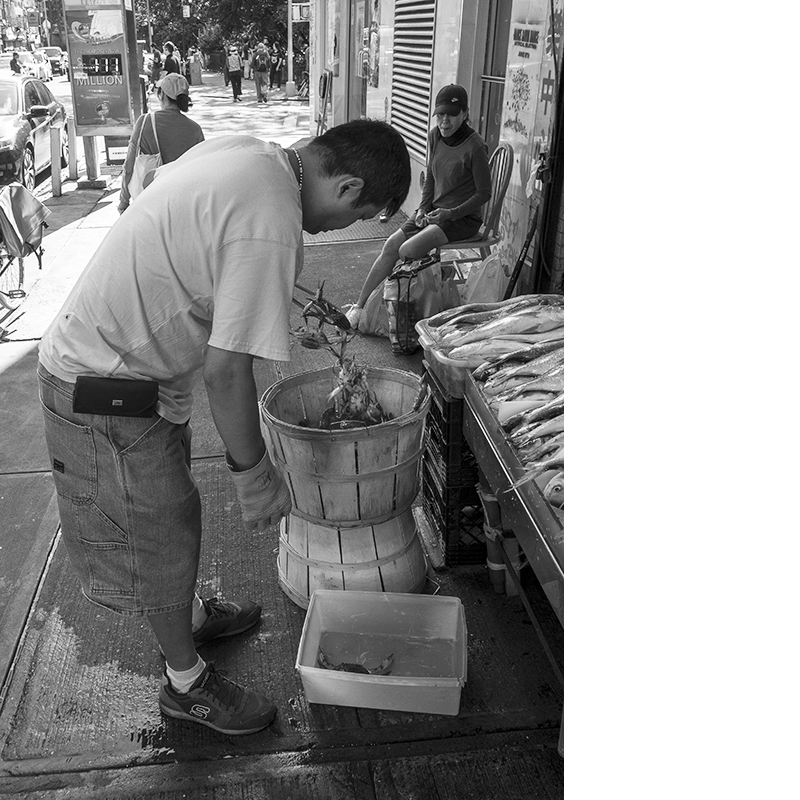 Sorting out baskets of blue crabs on the sidewalk on Mulberry Street, just above Columbus Park and Bayard Street. Another in a series of everyday life in New York. Click on the photograph for an instant view of a larger and more detailed image. This entry was posted in Everyday, Food, New York, Photography. Bookmark the permalink.